Omoni Oboli, Adesua Etomi, Linda Ejiofor and Chioma Onyenwe are four strong women that have put in their best in to their art. Some of their amazing roles include: Omoni’s electrifying performance in “Fifty”, Adesua in “Falling”, Chioma Onyenwe for steering the ship in her directorial debut “8 bars and a clef’ starring Linda Ejiofor. 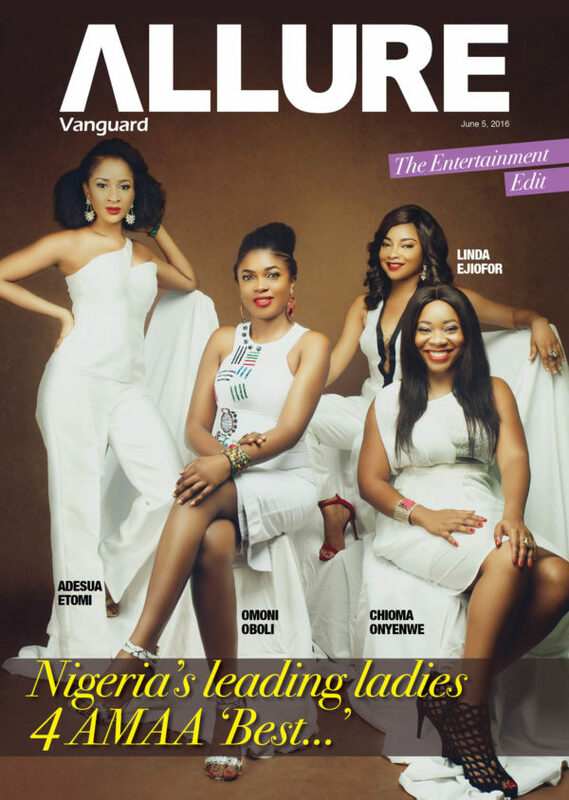 This women show serious passion , drive and tenacity, they let their guard down on the cover of this week’s Vanguard Allure with Allure’s Yemisi Suleiman to discuss and open up on what it took to get to where they are today. Makeup: Evelyn and Joanne for @ZaronCosmetics.